Let’s face it, owning and maintaining a home is very expensive. Between the initial outlay of cash when we buy the home, and then the subsequent monthly mortgage, taxes and insurance bills, there seems to be little left over for sinking even more money into the home. But due either to Mother Nature or our own ambitions inevitably we find ourselves making home repairs or home improvements to our houses. In some cases we hire contractors to make the home repairs or improvements, and in other cases we put on our own home improvement DIYer tool belts and do it ourselves. For the seasoned homeowner many have learned how to avoid the most common home improvement DIYer mistakes, but for the new homeowner they often plow ahead into unchartered waters and end up costing themselves time, money and frustration. To help rookie home improvement DIYers not make the same mistakes I’ve personally made throughout the years of owning and working on homes, I have compiled my “Top 10 Home Improvement DIYer Mistakes List” below. For those who are already seasoned homeowners you may want to read on for a refresher course or to simply have fun commiserating with my past pitfalls. Often novice home improvement DIYers jump into a project with little knowledge, training or experience. Watching a half-hour home improvement show on building a shed for example, is far from sufficient enough training to simply go out and grab a hammer and start framing your own shed. Basic foundation, carpentry and roofing skills need to be acquired first to ensure the shed will be constructed properly and to building codes. Similar to mistake number 1, the neophyte home improvement DIYer frequently thinks he or she is qualified to make a home repair or tackle a home improvement project simply because they know how to hold a hammer or saw. There’s a big difference, however, in knowing how to hold a tool versus actually use it properly. In addition, many home improvement projects require unique skills, physical strength, and multiple pairs of hands. Another major home improvement DIYer mistake is to not recognize how little time they truly have for doing a home improvement or home remodeling project. Many of us start out with good intentions such as “I’ll spend the next 10 weekends dedicated to this project” to complete it, but in the end find half their weekends filled up with other responsibilities or activities. Six months later the finished basement, for example, is still a work in process with only half the walls framed, let alone anywhere near finished. All of us want more for less. Call it greed or naiveté we are inherently programmed to think this way. Consequently when planning a home improvement project that you intend to do on your own, make sure to keep reminding yourself not to underestimate the costs of the project. Allow for material waste, bad weather, and other things that could impact your costs. By visiting your local home improvement center and talking with potential sub-contractors during the planning phase you can help prevent underestimating costs for the project. This is one of the most common mistakes made by novice home improvement DIYers. There are a myriad of reasons and excuses they skip this step. 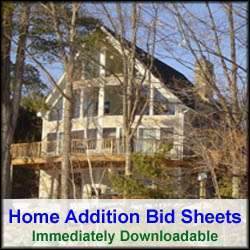 Sometimes it’s to avoid permit costs, or to prevent the tax assessor from increasing the value of their home. Other times naive home improvement DIYers simply think it’s not required. They’re usually wrong, and making this mistake can cost big time. If the municipality finds out about your home remodeling endeavors and you haven’t pulled a permit, expect to hear from them in the form of a registered letter. At best the letter will be a “cease and desist” writ. If you’re really misfortunate, it may demand you tear down your home improvements. I hate to say it, but your friendly neighbors can sometimes be your worst enemy in these situations. It is often the next door neighbor who calls the town or city, when they see you building in a new deck and you don’t have a building permit visibly displayed near it. Many home improvement projects require special or expensive tools. In order to minimize costs, the rookie home improvement DIYer often tries to make do or improvise with other tools to complete the project. In these situations, more often than not they end up wasting material and finding themselves running out to buy more of it. In the process of getting the additional material they often break-down and buy the proper tool at this point. Besides the dollar cost, they also waste much of their precious 48 hour weekend time running back out to the home improvement center. So when putting together your home improvement plan assesses your tool box to make sure you have the right tools for the job. 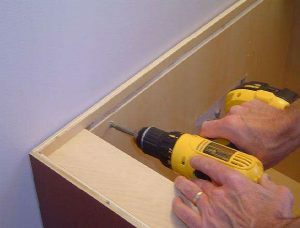 Many DIY home improvement rookies also try to cut corners on materials. They buy just enough for the job and assume they will have no scrap. Coupled with using the wrong tools this can often be a recipe for disaster. Inevitably they end up making extra trips to the home improvement center to pick up more material. And in some situations, such as in the case of buying a particular ceramic tile, the store may be out of it when they run back. If this happens, the project can go on for weeks unfinished until the material can be restocked. In the worst case scenario, ordering additional material may not even be possible. Due to a lack of knowledge on a particular home improvement project, a novice DIYer may use the wrong materials that can aesthetically and functionally harm the project. For example, using the wrong nails or screws on a deck could result in the fasteners corroding and leaving ugly stains on the deck surface. In some cases, such as using the wrong types of fasteners with certain deck wood lumber, e.g. treated lumber, the deck literally cut pull away from the side of the home or collapse. This is another big problem with novice home improvement DIYers. In order to save time and money they don’t buy the necessary ladders, safety glasses, work gloves, masks, etc. that protect them from dangerous conditions around the home improvement work area. Another major issue regarding work safety around the home improvement site is keeping it free and clean of loose debris and scrap material. At the end of everyday a jobsite should be swept and picked up so that the area is free from trip hazards and debris that could lead to accidents and mistakes. Stuff happens to put it nicely. Even the best plans are only just that, plans. Weather, financing, undependable sub-contractors, material shortages are all issues that arise during a major home improvement project. It is important to anticipate these issues in advance and have back-up plans in the event any of these types of problems arise. The sports saying “the best defense is a good offense” is very germane to home improvement projects. By anticipating problems ahead of time and having an offensive back-up plan you will be better prepared for the unexpected. As a general rule, it is wise to set aside an additional 5-10% of the cost of the project for “Contingencies”. So before you tackle your next home improvement project consider how to avoid these common errors. By planning ahead and not falling victim to these common rookie home improvement DIYer mistakes you will dramatically improve your chances of a successful home improvement project.